This is designed by Cedomir Kostovic. 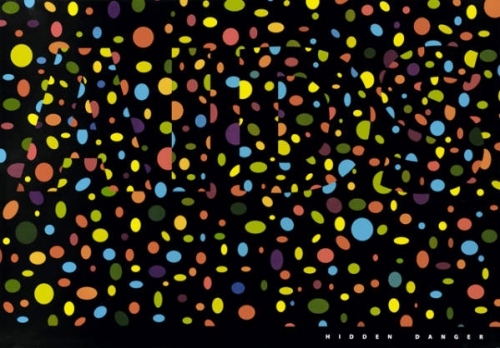 When you see this poster at the first time, you may just see lots of dots on the black back ground. However, if you take your time for a second, you will see the letter ‘Aids’. Also, in the real life, we cannot find out who has aids sickness, but they are staying around you, because they look same(same dots). So it says you have to be careful to get that disease.